Just a minor update, I got up this morning and just hated the picture. I thought about it and when I was on my lunch break today I realized the reason I was hating it was because the skull doesn't look like its existing in the environment that is there so I tried to do some color correction in the photoshop app. I think it looks a bit better but its clear that i need to start trying to learn a more about color theory. You shouldn´t be so harsh on yourself regarding the piece, it´s on the right track. 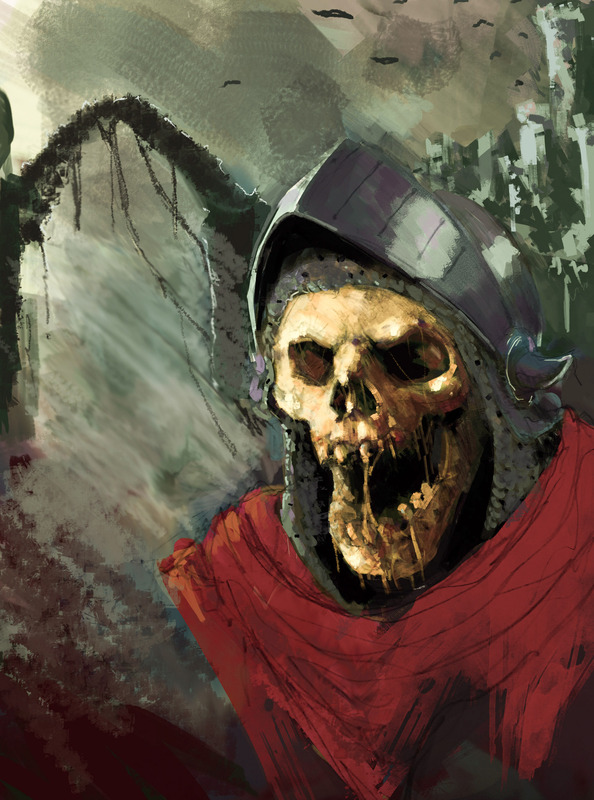 I sense a crispness on the skull that reminds me of Dave Rapoza, there is volume on the skull. (10 hours ago)RickRichards Wrote: Hey SufferDriver! Hey thanks for the kind words. i do feel like it has potential . Just gotta keep fakin it till I make it.